Free State freshman Mozae Downing (2) surveys the court in the first half of the Firebirds' 58-40 win over Gardner-Edgerton on Dec. 18, 2018 at FSHS. Being a point guard on a 6A boys basketball team is no easy task. Doing so as a freshman is almost unheard of. That is the case for freshman Mozae Downing, who serves as the starting point guard for Free State. Downing has handled the rock more than anyone else, leading the Firebirds to an 11-3 start to the season. Free State (No. 9 in Class 6A) has won three consecutive games, and Downing has demonstrated tremendous growth over that stretch. This week, Downing has put his unselfishness on full display during a two-game stretch on consecutive days. 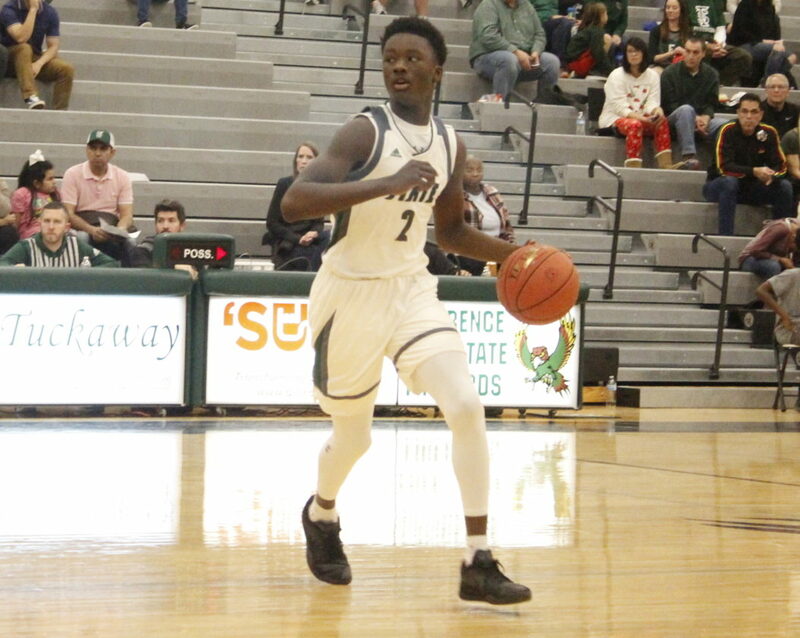 In Free State’s 47-37 road win over Mill Valley on Monday night, Downing dished out a game-high nine assists. On key possessions, Downing settled the team down and eventually found the open player to get the Firebirds a basket. Downing made just one free throw against Lansing during Tuesday’s 63-39 victory, but his impact was felt for much of the night. Downing posted another high-assist performance, while playing persistent defense, as well. 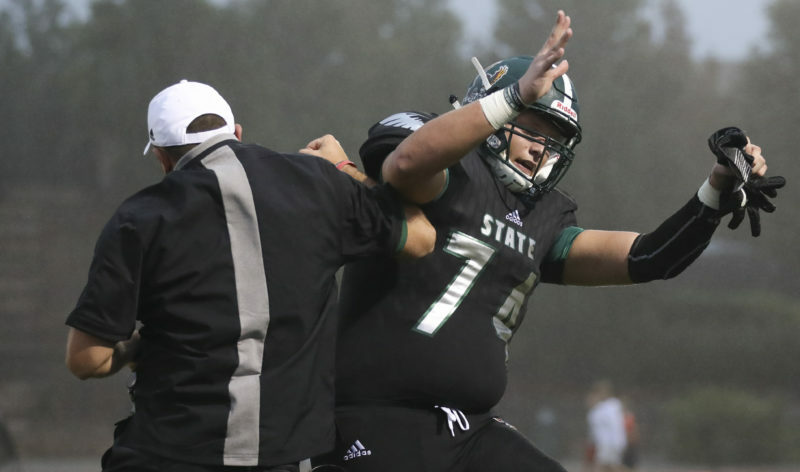 Downing, like many other young players, has shown great growth due to how many close games Free State has been in. It’s a big reason why Downing has found so much success as of late. But Downing believes the best is yet to come — for him and for the rest of the Firebirds. “In a couple years, we will be in the same thing and I won’t have to rush anything, because I will already know the situation,” Downing said. Lawrence High boys basketball coach Mike Lewis has been around his fair share of basketball teams. Over his career, Lewis has seen how different squads respond from a loss. 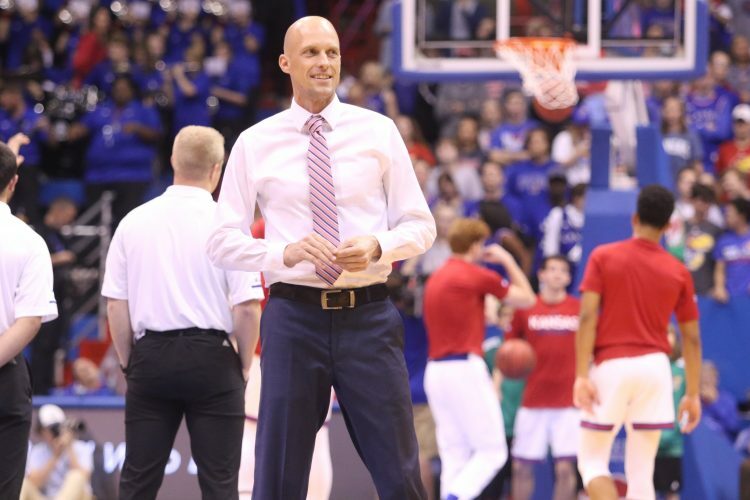 It was apparent early that the Lions, who are not too familiar with that feeling, were ready to put Friday’s 81-73 defeat at Olathe North behind them for good. 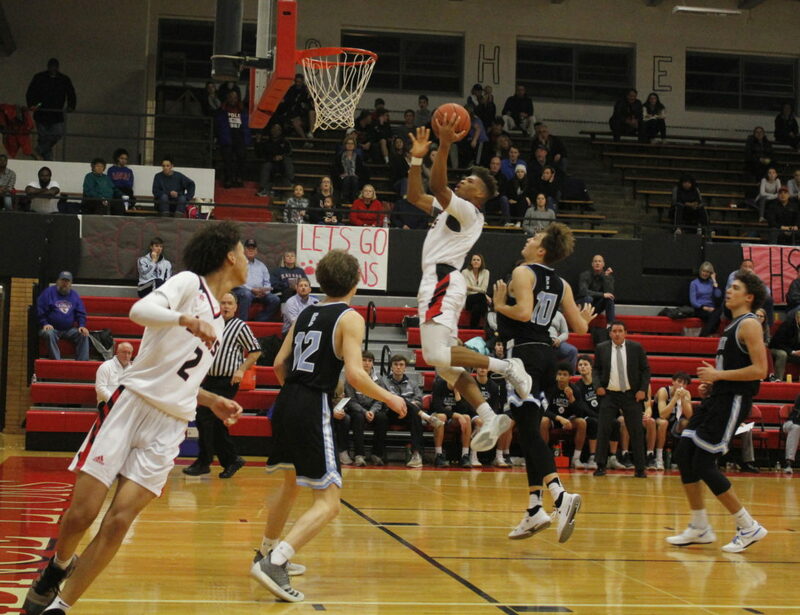 Lawrence (12-2, 5-1 Sunflower League) got back in the win column with a 74-58 victory over Olathe West Tuesday night at LHS. Lawrence High senior Clarence King elevates for a layup during the Lions’ 73-64 victory against Shawnee Mission East on Jan. 29, 2019 at LHS. The loss to Olathe North ended an 11-game win streak, and was the team’s first defeat since the season opener. But the Lions were locked in during Monday’s practice, and were completely focused on beating the Owls. That is a credit to the veteran presence on this talented team, as many players are familiar with the up-and-down moments of a given season. Seniors Brett Chapple (15 points), Clarence King (15 points) and Trey Quartlebaum (13 points) all scored in double figures against Olathe West. Senior Eric Galbreath recorded a thunderous block during a 21-point second quarter. That mentality is a credit to the experienced roster, which has learned a lot from last season. Last year, the Lions only had one such instance in the regular season where they lost just one game and bounced back with a win. Most of the time, Lawrence lost multiple games in a row during a 13-10 season that ended with a trip to the 6A state tournament. In fact, the Lions followed up a season-best five wins in a row last year with a five-game losing skid. This season, meanwhile, LHS learned from its loss and found a way to get right back to business just a few days later. Free State’s boys bowling team came away with a victory in a league triangular at Mission Bowl on Monday afternoon. The Firebirds finished with 2,458 as a team to take first place by a wide margin. Bayn Schrader (640), Ryan Flakus (625) and Joey Taylor (604) all finished with a series score over 600. The varsity girls team, meanwhile, took third with a 1,754 team score. Hannah Schenkel registered a team-best 461 series score. Free State is back in action at the Sunflower League meet at 8:30 a.m. Monday at Olathe Lanes East Bowling Center. Varsity boys scores: 1. Free State 2458; 2. SM South 2187; 3. Gardner 2063. FSHS results: Bayn Schrader 195-279-166, 640; Ryan Flakus 167-219-239, 625; Joey Taylor 170-264-170, 604; A.J. Baker 177-171-182, 530; Mike Tennyson 148-180-189, 517; Porter Neidow 128-150-197, 475. Varsity girls scores: 1. SM South 1938; 2. Gardner 1841; Free State 1754. 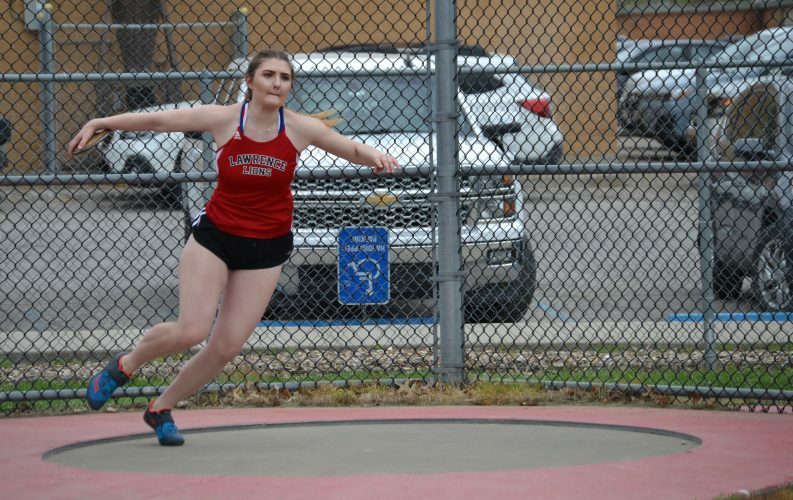 Hannah Schenkel 124-157-180, 461; Gabbie McCurdy 132-140-161, 433; Lexie Lockwood 147-144-138, 429; Josie Reno 151-167-103, 421; Rena Stoupakis 124-77-113, 314. The Lawrence High bowling teams were in action Tuesday afternoon at the Shawnee Mission Northwest quadrangular at Park Lanes. On the girls side, LHS claimed a runner-up finish with a team score of 1,939. Emilie Rodman posted the highest series score (570) for the Lions, which included a 193 in her third game. On the boys side, Lawrence placed fourth with a 2,254. Lorenzo Dan rolled a series score of 686. 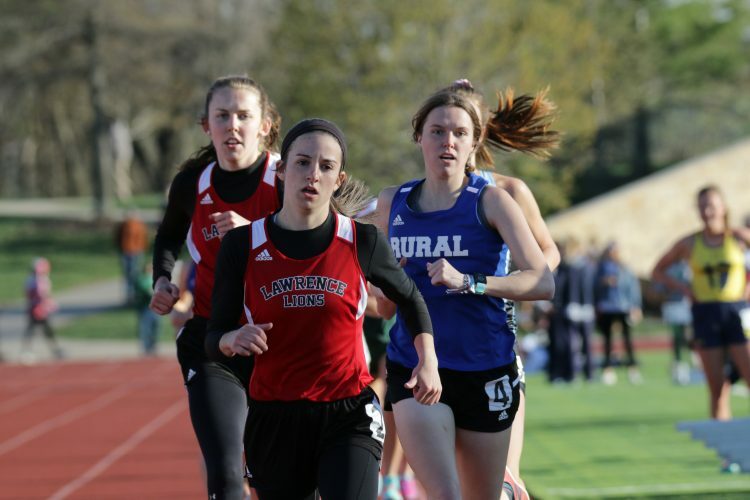 Lawrence will travel to West Ridge Lanes at 3:30 p.m. Thursday. Varsity boys scores: 1. SM Northwest 2498; 2. SM West 2422; 3. Olathe South 2397; 4. LHS 2254. Several football players from both Lawrence High and Free State signed their national letters of intent during Wednesday’s signing day. For Lawrence, seniors Ross Brungardt, Eric Galbreath and Caleb Mondi all inked their plans to go to Emporia State. E.J. Jewsome signed to Butler Community College, Sam Bart signed to Baker University, and Jakoby Masters signed to Bethel. Garrett Romero, who played quarterback and receiver for LHS this past fall, etched his signature to play baseball for Benedictine at the same signing ceremony as his football teammates. Meanwhile, five Free State football players signed their letters of intent Wednesday. They plan to hold signing ceremonies at a later date. Kameron Lake (Washburn), Matt Georgie (Pittsburg State), Tim Schoelpflin (William Jewell), Jalen Nash (Baker) and LJ Mack (Mid-America Nazarene) all announced their collegiate destination. The wrestling version of the City Showdown was called off for a second time due to inclement weather. Wednesday’s dual, which was scheduled to take place at 5 p.m., has been moved to another date. No makeup date has been announced. 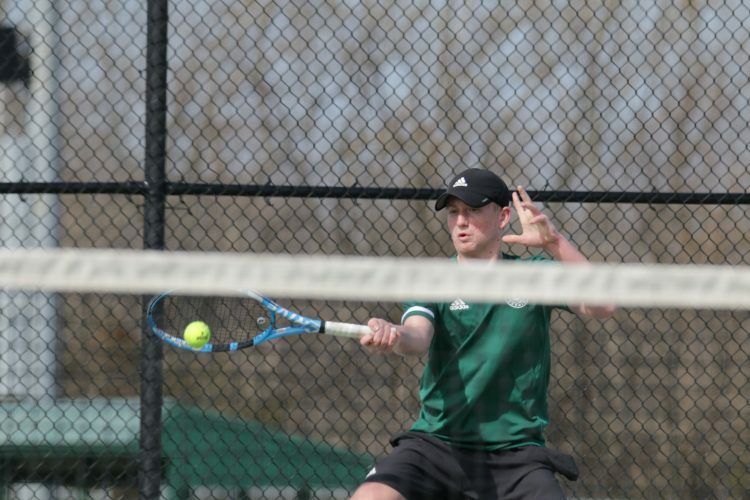 Both teams will be in action this week, though, at the Sunflower League tournament. The meet is slated to begin at 9 a.m. Saturday at FSHS.